"I want to help you Get Well & Stay Well and to restore your inner smile. My belief is that emotions have a direct connection with bodily organs & are responsible for much dis-ease, therefore by treating the emotion the dis-ease can go away, regardless of how long you have carried it. The worst that will happen is that things will stay just as they are, the best that can happen…?? well, that’s up to you." I was initially trained in Systematic Kinesiology in the UK and more recently Touch for Health here in NZ. Kinesiology is muscle testing where your body communicates through its’ muscle response when applying a light but firm pressure. With this method we can determine if the dis-ease is Physical, Emotional, Chemical or Energetic, and apply the appropriate correction to help restore you to full health. Kinesiology is an excellent method for determining Food Intolerances, it’s quick & painless and you get to feel the response for yourself. Kinergetics is an energy form of Kinesiology where I work with your energy body to correct imbalances in Organs, Gland & Chakras. It is also an excellent method for regression and balancing your energetic bodies. EFT comes from TFT (Thought Field Therapy) and is the quickest, simplest and most effective treatment I know for treating emotional issues, regardless of how long you have had them. It is quite amazing. It can treat: - Fears, Anxiety, Phobias, Relationship Issues, PTSD, Addictions, Pain as well as help you to reach your goals. The list is endless. I have been practicing EFT for many years and also teach this so that you can apply this for yourself, on yourself. I know why it works and also why, at times, it may not. It is classed as an ‘Emotional form of acupuncture but without the needles’ and scientific research has found it to be at least equally as effective as acupuncture. When using this I often combine it with NLP (Neuro Linguistic Programming) to reinforce positive issues. I also use EFT within a Kinesiology session for any dis-ease found to be emotionally based. This is one of the ‘new’ energy frequencies and is quite different to Reiki. This is ‘hands off’ healing which has been known to have the most profound positive effects. 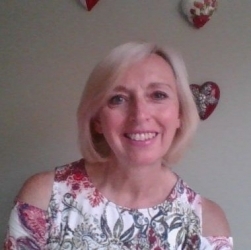 As a Reconnective Healing Practitioner I listen to the energy frequency via my hands and facilitate this to work in conjunction with your own energy system to promote feelings of peace & general well being. Healing comes in many forms, so although I cannot guarantee you the healing you may seek, I believe that at some level a form of healing would have occurred throughout a Reconnective Healing session. This is an ancient technique which is very effective for relieving pressure in the ears & sinuses. It is excellent for those who dive and before & after flying. It’s great for getting over that head cold and clearing the nasal passages. After a session I apply a light facial massage to help clear the sinus area. This method helps restore your body’s natural ability to dispose of any built up wax in the ears, it does not ‘remove’ any wax whatsoever. Reiki is very effective and a wonderful treatment for restoring balance to your whole being. It is a hands on treatment where universal energy is channeled to you, the patient. Reiki is very relaxing and if you’re wondering where to start on your energy journey, this is an excellent place. I believe everyone should learn at least Reiki L1 as it’s excellent to treat yourself, your friends, family & pets and also to bring universal energy to the food your eat & water you drink. Crystals are living matter and have specific energy vibrations which work with your energy body to restore balance & harmony or to bring about change – it depends on what you are seeking. ·Wand Healing – working with your aura/energy body while seated. ·Advanced grid layout – not for those that have never experienced any energy healing – this can be quite profound. You will lay within approximately 50 crystals placed in a specific grid as I work with them & your energy body. This session can last up to 1.5 hours.